Comment: In his reflections on this text, Timothy F. Simpson explores Abram as representative of the strangers in our midst. 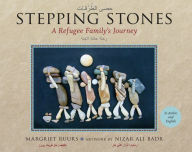 “What the text calls us to do in our current situation is to treat each stranger like he or she was Abram, plotting ourselves into the story and thus imagining the way we would ourselves want to experience being a stranger.” Stepping Stones describes the journey of a family of Syrian refugees. Upon their arrival in their new country they are strangers, yet new neighbors welcome them with open arms, share what they have, smile, and offer help. This text and story challenge us to consider the strangers in our midst, and open our arms to welcome them and share God’s love. Comment: In this text Paul emphasizes Abraham’s righteousness comes not from the law, but faith. In her commentary on this text, Professor Lucy Lind Hogan explores that we, like Abraham and Paul, are called to this kind of faith. 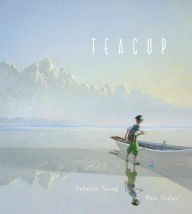 “[Lent] is a time to look for the amazing ‘things that do not exist’ in our lives; those throw-you-to-the-ground, awe-filled moments that God is offering us every day.” In Teacup, a boy’s faith mirrors this way of looking for the amazing things that do not exist in life. For the boy it is trusting a speck or a whisper will become something more. Wonder together how this text and story help your congregants to better understand their own faith. Comment: “For God so loved the world that he gave his only Son… [not] to condemn the world, but in order that the world might be saved through him.” God’s sending Jesus into the world is an act of love. When exploring this text with children, wonder together about what it means to love, and how love is enacted. 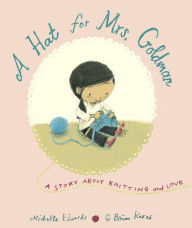 Sophia enacts her love for Mrs. Goldman by knitting her a winter hat, a skill she learned from Mrs. Goldman. As you read this text and story, explore with your congregation what love enacted might teach you about the givers and receivers of love. Thanks to Union Presbyterian Seminary alumna Noell Rathbun for writing the Revised Common Lectionary Links this week. Lectionary Links (RCL): March 12, 2017 by Storypath is licensed under a Creative Commons Attribution-NonCommercial 4.0 International License.